The human person needs a good economy, and a good economy needs good persons, according to the Maltese economist whom Pope Francis appointed as Vice-Coordinator of the new Council for the Economy to help lead the reform of Vatican administration and finances. 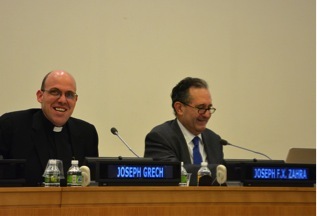 Joseph F. X. Zahra addressed a crowd of more than 100 on February 8 at the United Nations Headquarters in New York City at an event sponsored by the Permanent Observer Mission of the Holy See the United Nations and the Centesimus Annus Pro Pontifice Foundation USA, the U.S. arm of the Vatican foundation that promotes the implementation of the principles of Catholic Social Teaching. “The human person and human dignity are not only catch words, but pillars for creating shared value and structures,” he said. Governments must allow more decisions to be made in smaller communities, creating space for human creativity and economic growth. In additional to subsidiarity, solidarity is key a key principle for a growing, human-person focused economy. The root of poverty in our society and environment is the fault of ethical and cultural systems, not economic ones, Zahra asserted. “Pope Francis proposes that we address the social problems created by human weakness — including poverty and marginalization resulting from greed, dishonesty, lack of transparency — but this can only be done by means of solidarity,” he said. The key to a good economy is good, virtuous people, he stressed. Instilling virtue in a society will help individuals to make good decisions regarding their own life and regarding the larger community, he said, citing indifference, consumerism, and relativism among the greatest ills of modern society. One of those present at the event, Afaf Konja, former spokesperson for the President of the General Assembly, said that building a great economy should start with the family, and that government’s role lies in creating policies that empower the family. “If the government enables the private sector the way it brilliantly can, it can enable a family to become very powerful in growing responsible men and women through education and virtue who grow up to become great leaders,” she said. Meghan Clark, Professor of Theology and Religious studies at St. John’s University and author of Vision of Catholic Social Thought: the Virtue of Solidarity and the Praxis of Human Rights, attended the event and said the principle of subsidiarity is a two-sided coin that calls for decisions to be made by the smallest unit possible, but the largest unit necessary. This sometimes requires the governments to intervene when smaller units are unable or unwilling to make just decisions, especially in the case of abusing the environment, she said. Videos and highlights to come. 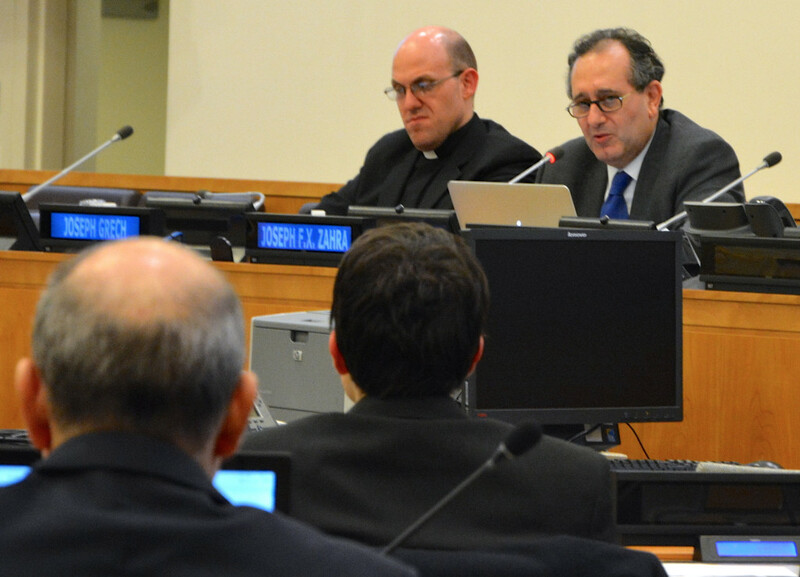 In its statement, the Holy See lauded the significant progress that has been made over the last decade in significantly reducing poverty across the globe, but noted that special care must be given to address the underlying social inequalities and vulnerabilities among “those left behind by the market economy” and at greater risk due to climate change and global economic, food and energy that arise. The Holy See added that such destabilizing events can be exacerbated by what Pope Francis calls the “globalization of indifference” flowing from a culture shaped by the “pursuit of profit and hedonism” that often breed injustice, division and violence. 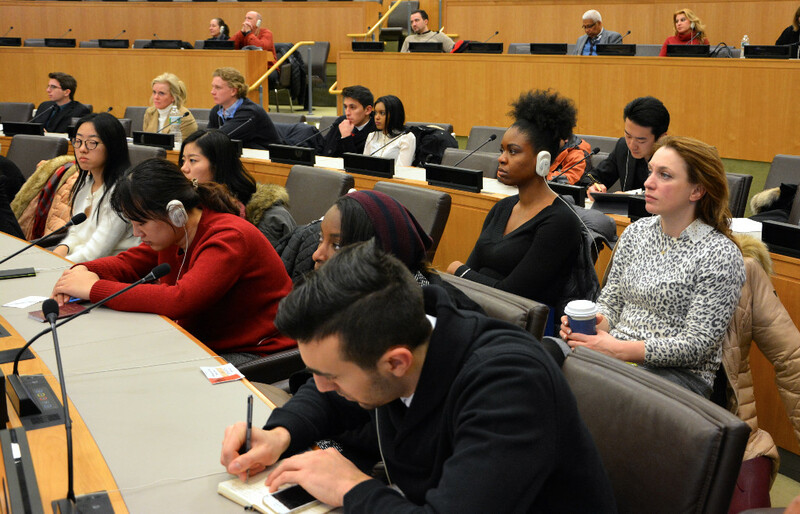 What’s needed, rather, is a “globalization of solidarity,” which the Holy See stated is what the international community manifested in the 2030 Agenda for Sustainable Development. This solidarity means providing every person with the “minimal spiritual and material means needed to live in dignity and to create and support a family” and involves at least “lodging, labour and land” and spiritual freedom.